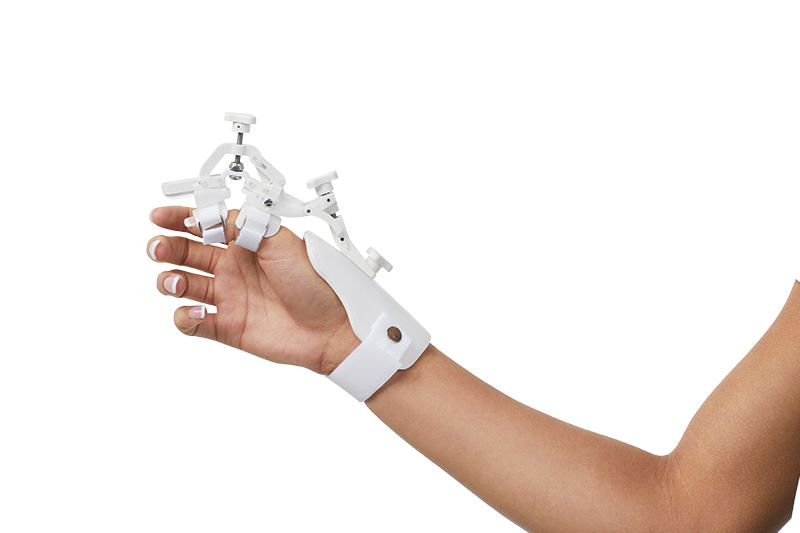 The new JAS EZ Thumb device offers full-range, bi-directional PIP Range of Motion (ROM) therapy in a lightweight, low-profile, single-patient use device. An innovative Motion Tower™ design, combined with infinitely adjustable ROM, assures precise end-range stretch throughout the entire treatment session. Maximal Total End Range Time (TERT) is achieved for optimal therapeutic benefit. The new JAS EZ Thumb features a ready-to-fit splint base to stabilize the device, maintain proper alignment and prevent rotation during ROM therapy. Call you local MedStar NW Representative if you would like to see a demonstration or order this for a patient. See list on our “people” page for email and phone contacts.